“Can someone do my coursework online?” That’s a question we often get. We understand why students need assistance… academic writing is hard! When you applied for college, you expected greater academic challenges, and you were ready to face them all. Suddenly, you realized you underestimated the challenge of academic writing. When compared to the plain high-school papers you used to complete, college and graduate projects seem impossibly complex. Speaking of academic writing, some students never get used to it. Yes, writing skills are important for progress in any career, but your professors fail to realize that you simply don’t have time for all projects they assign. We understand; you need online coursework assistance, and we’re ready to provide it! NinjaEssays is the service that knows exactly what students need: quality, safety, satisfaction, timely delivery, and a discounted price. That’s what you get when you work with ninjas! 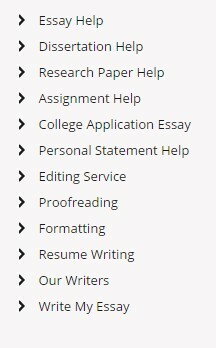 Like every other student, you also need help to adjust to the new setting, so you get to an idea: “can I pay someone to do my coursework?” You’ll be happy with the answer: yes, it is possible to get your coursework done by professional writers, and you’ve come to the right website that delivers the services you need. Academic writing is not an easy thing. You have to pay attention to form, structure, language, and style. You need to present your own points of view and a unique thesis, but you still need to support those opinions with facts from relevant resources. Some assignments are so challenging that you simply don’t know how to approach them. When you have few of these academic coursework projects to write in a single week, you realize you would have to skip classes, alter the studying schedule, and ditch the plans for spending time with your friends. Even if you commit solely to writing, you still won’t be able to finish all that work on time. If English is not your native language, your professors will keep finding flaws in your coursework, regardless of the fact that you’re making a huge effort to write the content. The deadlines are close, the projects are tough, and you don’t have enough experience with academic writing. Should we carry on? It’s clear why all students need help from ninja writers. “Why Should I Hire the Ninjas to Write My Coursework? At our website, you’ll get a transparent pricing system that won’t make you faint. Check out the quotes for coursework and you’ll understand: we offer affordable assistance with great discounts for all customers. You get a nice discount code for your first order, and awesome price reductions for all future orders you place. 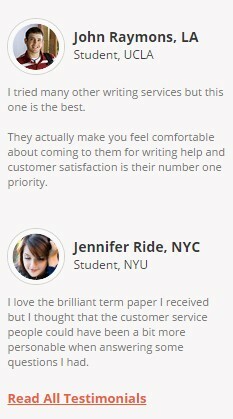 When you’re about to order coursework online, it’s important to work with a service that has educated writers in the area of study the project belongs to. At our website, you can order any type of content, knowing that we have MA and PhD writers from all niches. You can get coursework from the niches of , engineering, accounting, medical, psychology, business administration, statistics, law, history, biology, economics and other areas of study. Do you know what makes our ninjas the best fit for your project? Collaboration! They listen to your instructions and they craft 100% unique paper based on your directions. You will get a chance to work with your writer through a direct messaging system, so you’ll make an investment that will turn you into a better researcher and writer. Did someone mention deadlines? Relax! 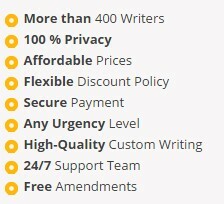 Our coursework writers can write awesome content, no matter how urgent your order is. You’ll get a guarantee for unlimited free revisions. We won’t stop working on the content until you’re completely satisfied with its quality. «NinjaEssays» reviewed by Marry L. on March 2, 2016 . I liked working with Ninja Essays. I’m saying “working with” because I really worked together with the writer. He helped me understand what coursework writing was all about, so maybe I’ll try doing it myself next time. «NinjaEssays» reviewed by Connor L. on June 21, 2016 . The price is affordable, the quality outstanding, and the communication with the writer was very convenient. I got a perfect coursework paper and I’ll definitely use ninja writers again. Are you ready to start making changes with the way you deal with coursework? We’re certainly ready for your order! Submit it today to get the best price for your project!